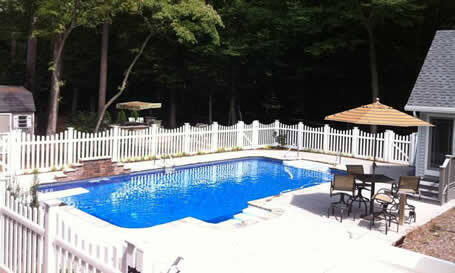 Testimonial 2 - Sparkle Pools Inc. When I visited your Denton showroom two years ago, I only had mild interest in getting a pool for my family. I had a pool many years ago and spent more time maintaining it than enjoying it. When I told Ray (the owner of Sparkle) that I was interested in a very low maintenance pool, he said that with only minutes of daily maintenance, I would be very happy with a salt generating filter system and a Polaris cleaner to do most of the work. Well, two years later, I could not be happier with my pool. The daily maintenance is as minimal as advertised and the pool has needed no repairs or replacement parts. Not only did Sparkle provide a quality in ground pool, but they also helped design and build a concrete and tile pool deck that gave me the backyard oasis I was looking for. I would recommend Sparkle Pools to anyone looking for a quality in ground pool.